New York Times bestselling author Lili St. Crow thrilled legions of fans with her dark paranormal series Strange Angels. 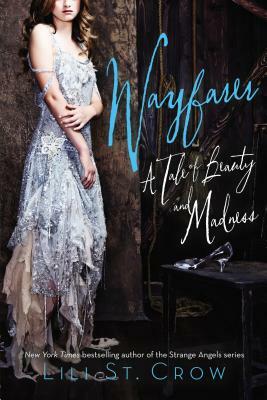 Now she has created a stirringly romantic, deliciously spooky update of Cinderella, the alluring second volume in her trilogy Tales of Beauty and Madness. Newly orphaned, increasingly isolated from her friends, and terrified of her violent stepmother, Ellen Sinder still believes she’ll be okay. She has a plan for surviving and getting through high school, which includes keeping her head down and saving any credits she can earn or steal. But when a train arrives from over the Waste beyond New Haven, carrying a golden boy and a new stepsister, all of Ellie’s plans begin to unravel, one by one. In a city where Twisted minotaurs and shifty fey live alongside diplomats and charmers, a teenage girl can disappear through the cracks into safety--or into something much more dangerous. So what happens when the only safety you can find wants to consume you as well? Lili St. Crow is the author of the Strange Angels series for young adults and the Dante Valentine series, among others, for adults. She is also the author of Nameless, a companion book to Wayfarer. She lives in Vancouver, Washington with her family. Visit lilistcrow.com to find out more. Lili St. Crow is the author of the Strange Angels series for young adults and the Dante Valentine series, among others, for adults. She is also the author of Nameless, the first book in the Tales of Beauty and Madness trilogy. She lives in Vancouver, Washington, with her family. Visit lilistcrow.com to find out more.